Quiet Marauder return to ears and eyes with new EP, Comatose But Dreaming. The release of these five new tracks comes with five equally new interrelated music videos, offering complete visual accompaniment. The band’s fondness for the meaningfully off-kilter has long been evidenced by their output. Their opening gambit was an EP charting Alan Shearer’s future life as an omnipresent time traveller. This was then followed by their record-baiting 111-song debut album, MEN, before 2015’s 11 Shades Of Love; each offering its own conceptual take on issues such as gender politics, love and whether moustaches make you manly. Visually, the films chart the imaginary, connected path of a comatose man, dreaming his way from event to event while trying to make meaning of what is happening. 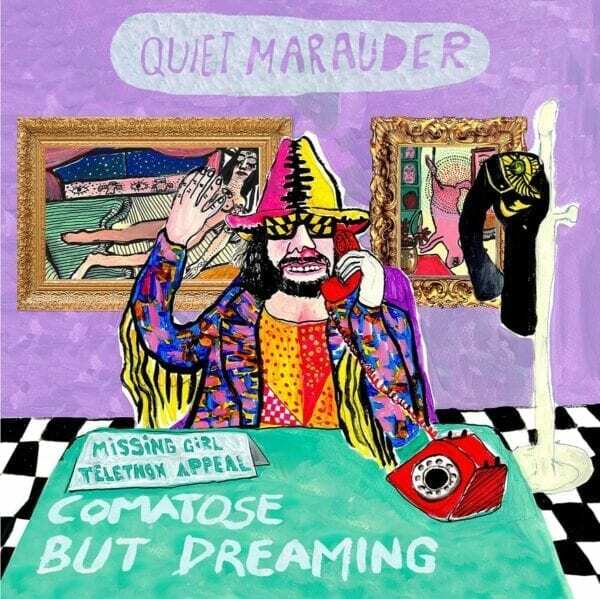 Sonically, the Quiet Marauder palette has expanded even beyond the chamber-pop-indie of 11 Shades Of Love, incorporating synth, guitar, tenor horn, trumpet, bass, drums and a plethora of haunting harmonies.